Light and bright, south facing, main floor, low maintenance living option with no stairs. End unit right across from the pool. Newly refinished hardwood floors. Over-sized ceiling heights create an even more spacious feel. Move in ready with washer and dryer. Covered porch. Very large walk-in closet in the gigantic 21'6" x 14'1" master suite. Plentiful cabinet and counter-top space in the eat-in kitchen. Stainless steel appliances. Central air conditioning. 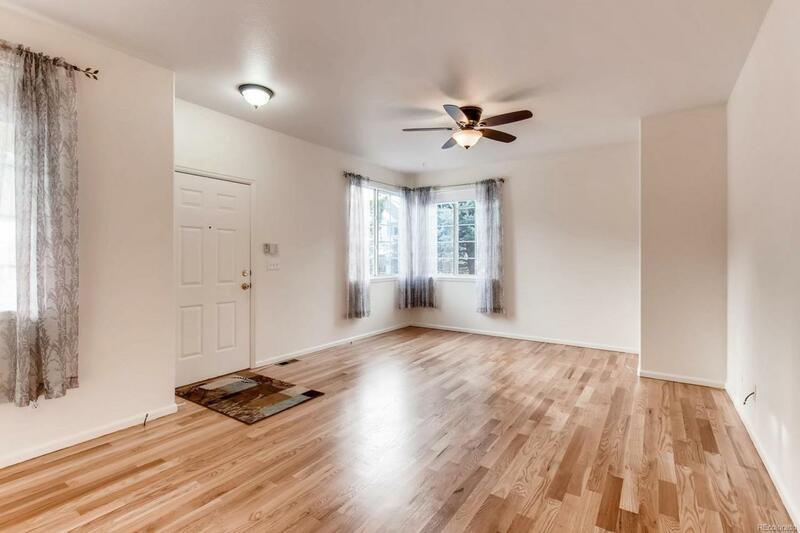 Enjoy the close proximity to Hunters Glen Lake, open space and trails. Approximately 5 blocks away from the eventual East Lake light rail station. Close to proposed Rolling Hills Thorncreek Commons development with outlet stores, restaurants, Top Golf and View House. Very low $220/month HOA fee in a well kept complex. Abundant parking space in the parking lot. Pets limited to 4 adult pets. Rentals of 12 months or more permitted. FHA certificate through July 2019.